The King Size Standard Upholstered Bed Base with Drawers is as practical as it is beautiful. 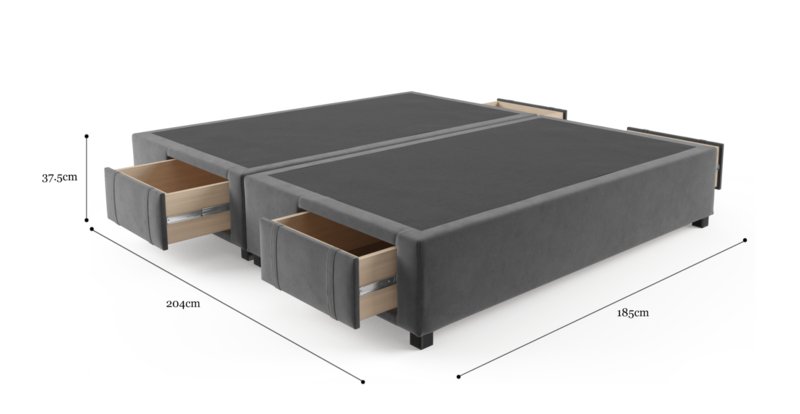 It's been meticulously crafted from solid timbers for mattress stability. And is complete with four spacious drawers for storage. Available in a variety of colour options, there's a base to suit every room. Everything from Heritage Red velvet to classic French Beige are on offer. Pair your bed base with any design from our bed head collection. Simply pick your favourite and create a dream bedroom retreat. 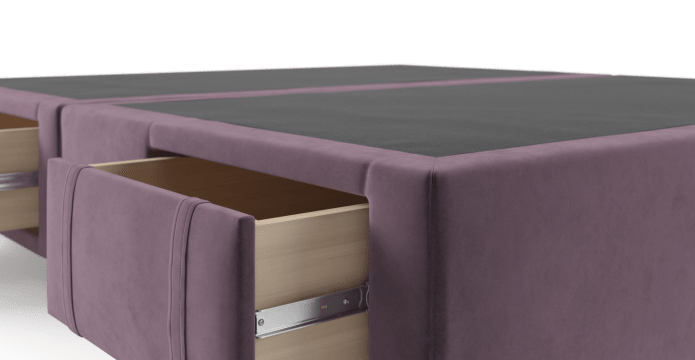 See more bed base deigns on offer. Made for the bedroom that could use some extra storage space. The King Base with Drawers has plenty of room, without the clunky shape. The drawers slide smoothly into place. The website is really user-friendly - especially important for the purchase of furniture, which is traditionally bought at a typical bricks and mortar store. The online purchase process was simple and straightforward. I also appreciated the confirmation of purchase delivery, via SMS, with live tracking and on-time delivery by two genuinely polite young gentleman. But most importantly, loved the quality of the bed head and base! I'm already looking forward to my next purchase! They went above and beyond to ensure my bed base was delivered before our wedding. Loved the service and weäó»re looking forward to buying from Brosa again. 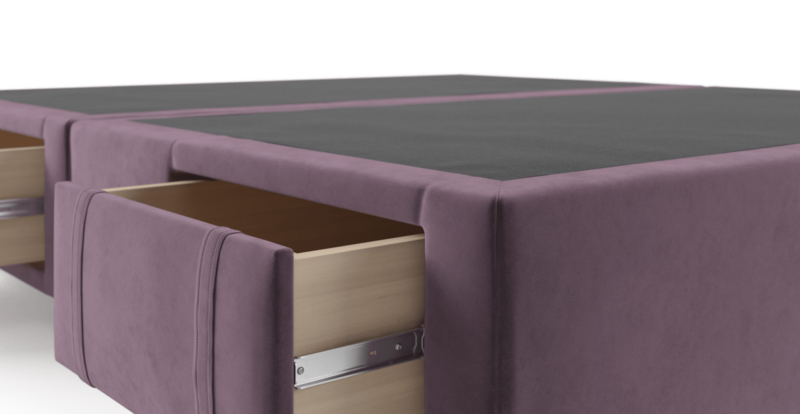 See, touch and feel our fabrics used on our King Size Upholstered Bed Base with Drawers. For Free! Simply select up to 3 fabrics and add them to your cart. Delivery is on us.